Unfortunately that is not possible. 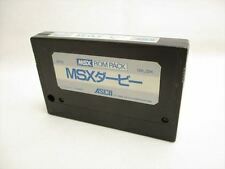 If you prefer mono, why not using the audio from MSX? Okay, would be nice if it was just mixer setting in menu but this way is also workable. I finally had time to upgrade the firmware.Quartus II v13 on Windows 10 did recognise the Cyclone via the jtag socket and did detect the controller on the AS socket, but the blank checks came back with an error. Virtualbox with windows XP using Quartus II v11 worked perfectly. I dont know what the reason is. I believe that Intel found the way to prevent their software from working correctly with the bootleg Altera chips. And it appears that all chips priced at 7 euro that we use for our cartridges are Chinese bootleg clones. The real chips cost way more. But Intel was not as stupid as to kill the bootleg chips like some other US company did recently. 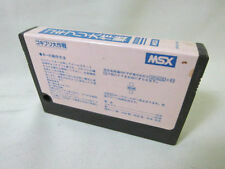 Instead they simply prevented their software from working correctly with the bootleg chips. This is of course the speculation. But my own experience and the facts shared by other users make me think that I am not far away from the truth. So I would recommend everyone to use the older versions of Quartus software and Windows 7. This seems to work fine. I use quartus 13 on Widows 10 without any problem. I recently wanted to try out F-1 Spirit on the Carnivore2 but could not get it to start. 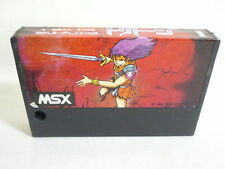 I've tried two different roms with different mappers but no success. This puzzled me a lot since I remember the game being a default entry when I first got the cartridge about half a year ago. Does F-1 Spirit requires any manual configurations? Could not find any RCP-file suitable for it. It runs great on my Carnivore2 Siddy6581. Its indeed a default entry on mine.